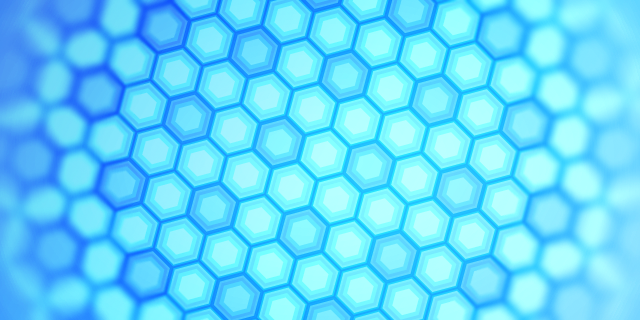 Ever gotten annoyed at how tedious it is to get hexagons to tile properly? 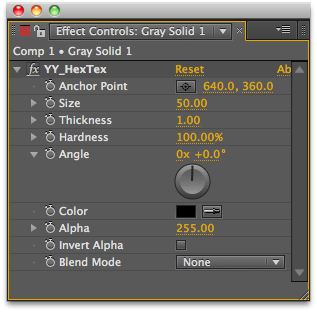 YY_HexTex generates tiled hexagon textures, with extra options such as rotation, edge thickness, etc. Everything can be animated right in the comp, without need to deal with messy nested precomps. Useful for motion graphics and HUD designs, among other things.